Normally the only time I'm awake at 5am on Saturday morning is when I haven't made it to bed yet, but a couple of weeks ago I tucked myself up in bed early(ish) on a Friday evening, ready for my alarm to go off at 5am the next day. 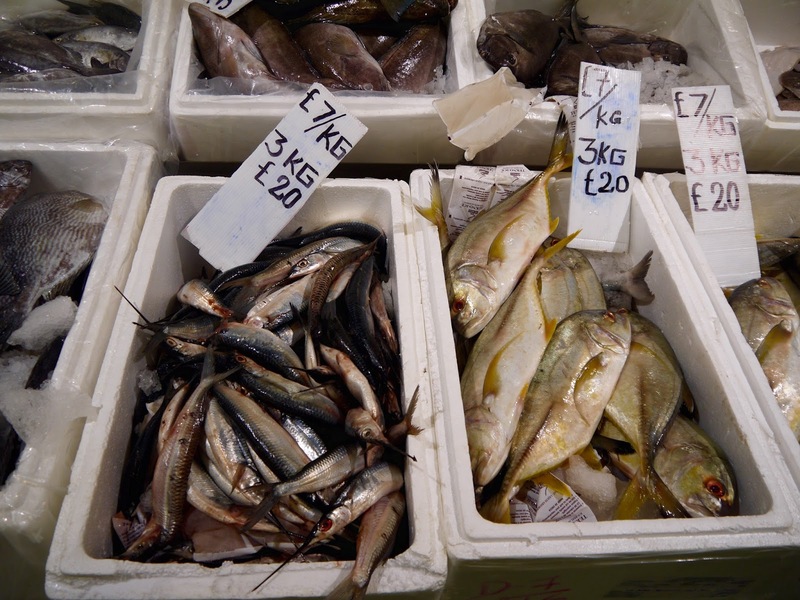 Bleary eyed and not quite capable of anything involving make up or matching socks, I stumbled downstairs to a waiting taxi, to be whisked off to Billingsgate Market where I met a group of equally foggy food bloggers. 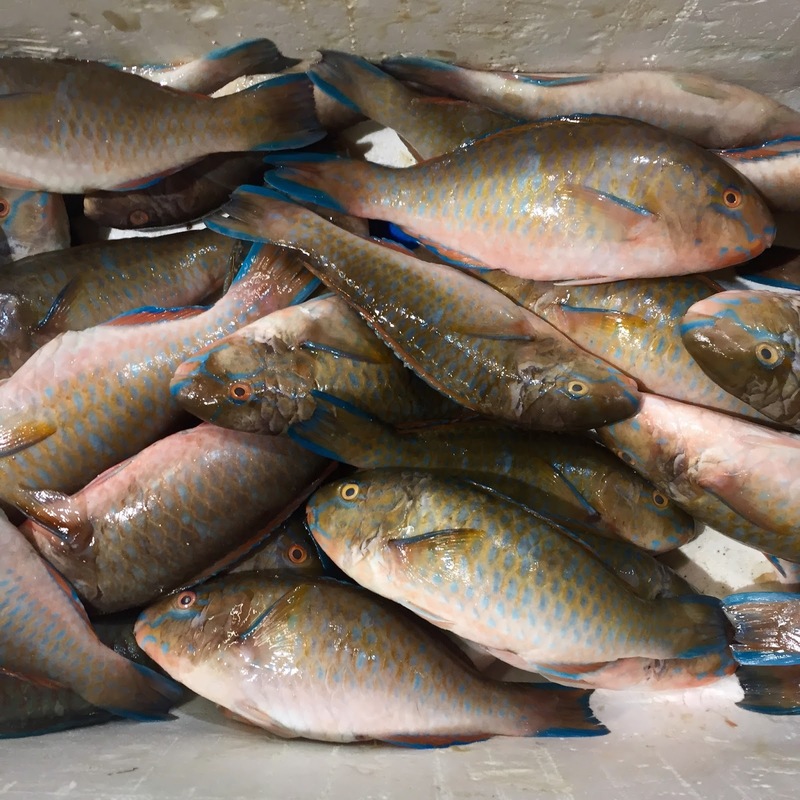 We were there for a day with the ever flamboyant and way-too-lively-for-that-time-in-the-morning wine expert Douglas Blyde, who wanted us to go shopping for fish and seafood that we'd use to make a dish to eat with a glass or three of Muscadet later in the day. We stumbled into the market and found our way to Piggy's Café for some breakfast. 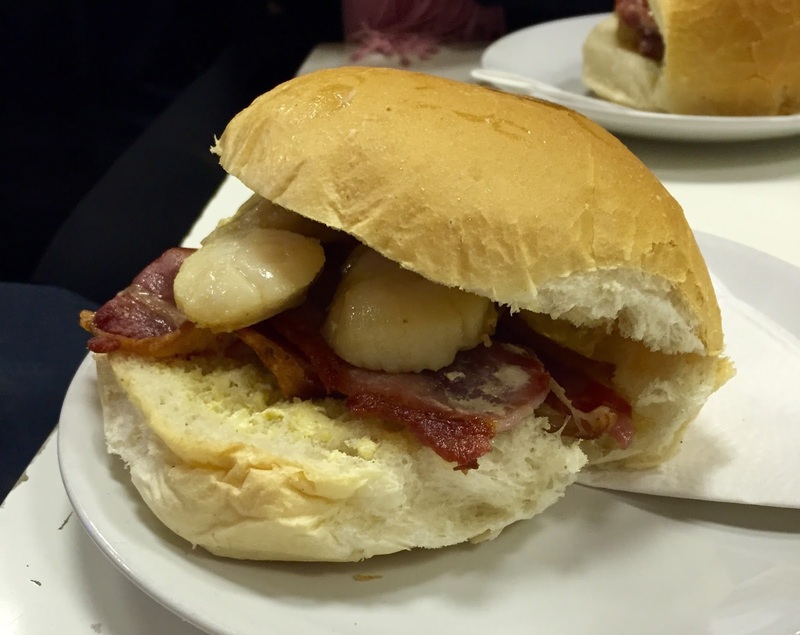 Scallop and bacon baps seemed to be the order of the day, though were too much for me that early so I stuck with a banana and black coffee. 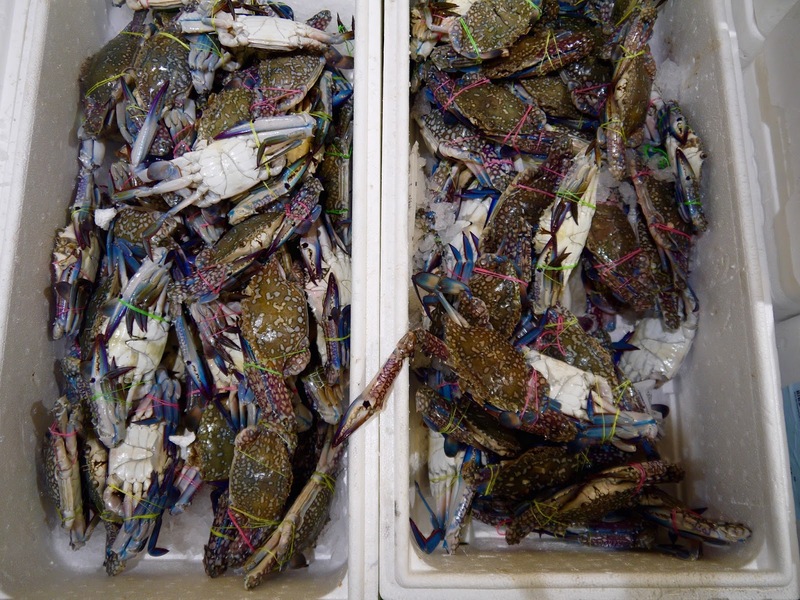 We were then set free to roam the market, and pick up our choice of fish or seafood to use in our Muscadet matching dish. I was paired up with Emily, who I giggled round the market with as she compared every fish we saw to those from The Little Mermaid...! Giggles stopped briefly though as some poor girl took a tumble in the fishy sludge that had accumulated on the floor, fleeing before anyone could notice her embarrassment.... SO glad it wasn't me! 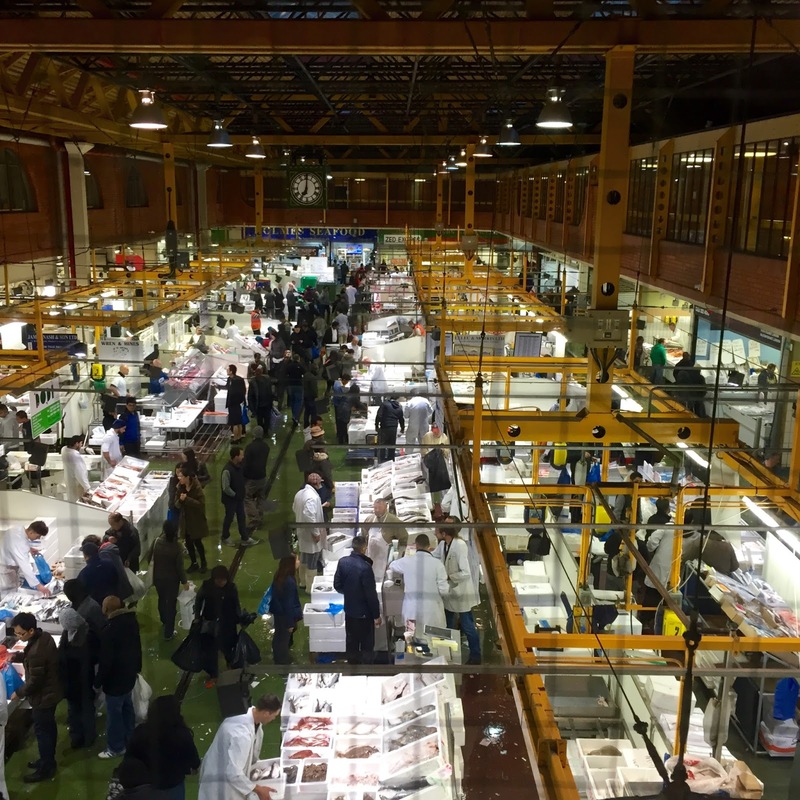 If you want to pick up some serious fish and seafood bargains, and try and avoid slipping in fish juice, then Billingsgate is open to the public on Tuesday to Saturday, from 4am-9.30am. 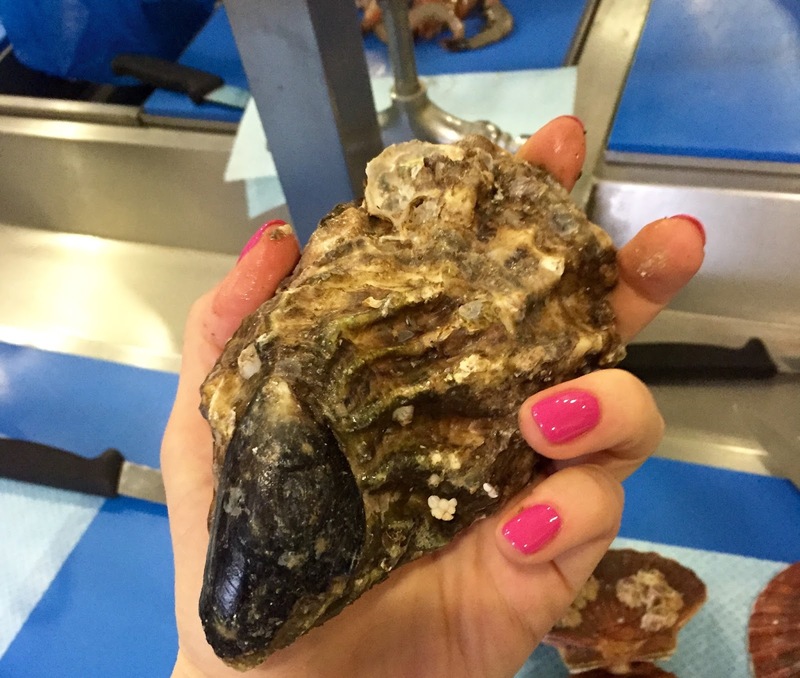 We picked up some massive oysters, scallops, and sea bass before meeting up with the group again for a quick class in shucking, gutting and filleting. I'm confident in gutting and filleting fish, thanks to catching mackerel on holiday and gutting them by the seashore, so Emily looked on in horror and disgust while I got to work on our bass. Despite her initial doubts, she did an amazing job of getting the scallops out of their shells, and cleaning the shells for us to serve our dish on later. Fish prepped we headed to Central Street Cookery School to make our dishes to go with the Muscadet wines. Muscadet is a French wine from the western Loire Valley. It's a fresh, clean white wine, that pairs really well with seafood, fish, citrus, herbs and creamy dishes. Muscadet cuts through flavours, and almost cleans the palate. 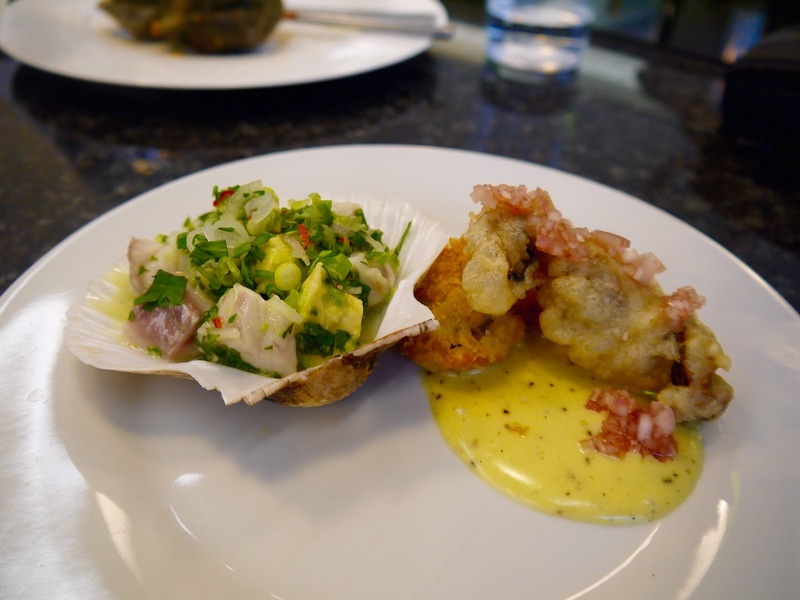 For our dish we went for seabass ceviche with avocado and oysters deep fried two ways - one breaded, the other tempura, with a lemon mayonnaise and pickled shallot. To be honest, though the dish was delicious, I think I got a bit carried away and should've stuck to either oysters or ceviche as the two didn't really come together on the plate. 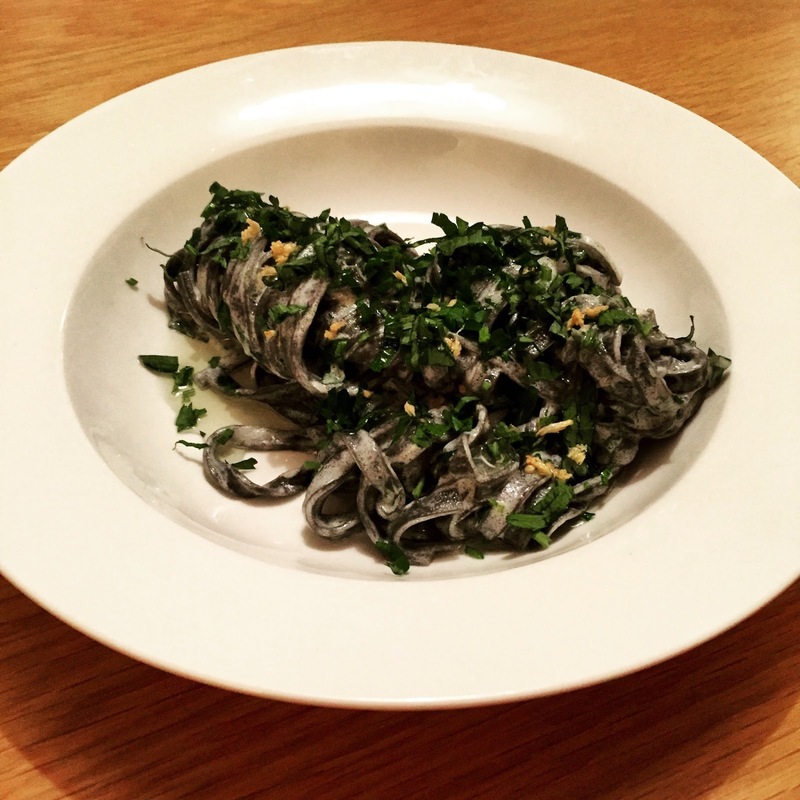 In fact, I think a much better example of a good Muscadet inspired dish was the one I made at home the night before our fishy day out - fresh squid ink pasta with fleur de sel, French rose garlic, crème fraiche, lemon and parsley. The wine went wonderfully with the creamy yet citrus sauce of the squid pasta and the French ingredients on the plate. My favourite versions of Muscadet that we tried on the day (there were more than several) were Côtes de Grandlieu, Guérin 2014 from brothers, Luc and Jérome Choblet (Waitrose, £7.99), and the Nantaise Réserve 2014 from Laithwaites (£9.99). Muscadet is great "food" wine - its lightness and low alcohol content means it doesn't overpower dishes, but instead harmonises with them, so next time you're serving white wine at a dinner party, maybe go for a Muscadet rather than your normal choice? I had entirely forgotten the girl who SLIPPPPPED - oh the embarrassment! OHMYGOD.... so embarrassing, poor thing - Emily thought it was me at first! For once it wasn't!! So worth getting up for. 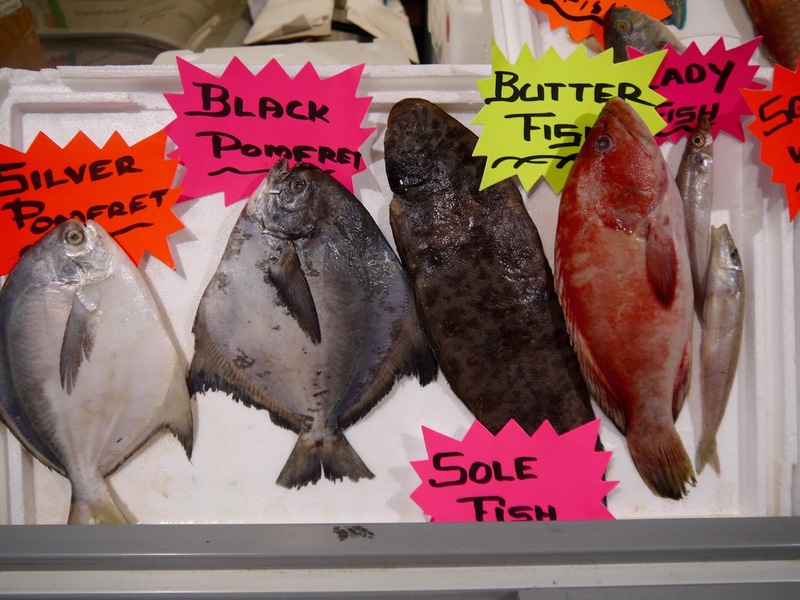 You should check out the courses they do at Billingsgate Lucy as they're really helpful fish wise.